A district heating tube can be built out of pre-insulated tubes without a bellow balancer or an expansion angle, in case that it has first been checked that the tubing remains without tension at temperature of +70 Celsius degrees. This kind of system is called a fixed system. However, the implementation of the system can be difficult during installation. The excavation needs to be kept open, until the district heating tube is warmed up to the ideal attaching temperature. Maintenance of the temperature causes problems particularly during winter as the temperature of the heating network has to remain on a higher level. Fiellberg Slide Tube brings an alternative and easy solution to the problem. By using the slide tube, the district heating tubing can be built, covered and deployed in the traditional way. 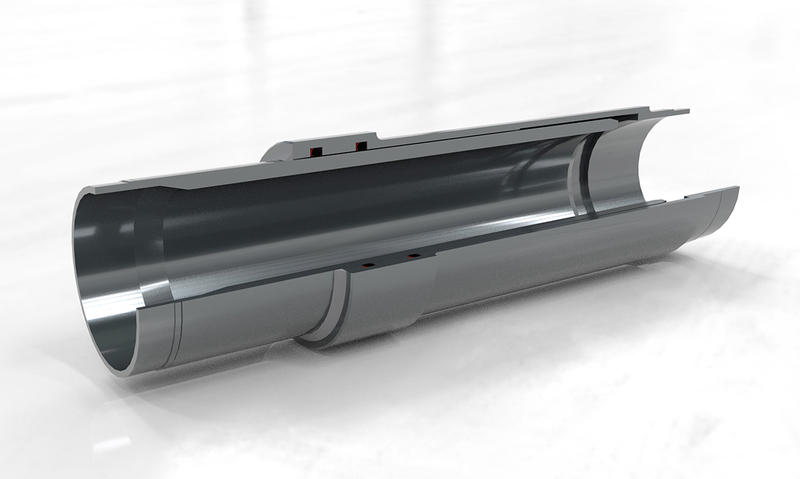 When deployed the tube takes its optimal and final position automatically during the thermal expansion.